Terrific for infusions and as a unique garnish. Chile de àrbol may not be as popular as its close cousin cayenne pepper, but this slim chili will surprise you with its versatility. In fact, it’s one of our favorites for spicing things up because of its slim shape and short length. Not only is this pepper terrific as a chili powder or in hot sauces, it’s skinny and tiny enough to flavor foods, olive oil, and beverages as a whole dried pod. And, unlike other peppers, these chili pods keep their beautiful reddish tint when dried. This adds some serious wow factor in a bottle or as a garnish to a meal or spicy cocktail. 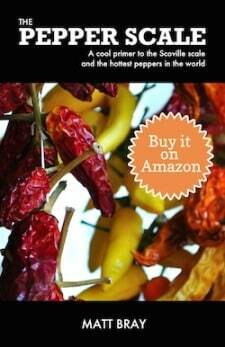 How hot are chile de àrbol peppers? These chilies contain a good medium heat pop, ranging 15,000 to 30,000 Scoville heat units (SHU) on the Scoville scale. That’s two to fifteen times hotter than our favorite reference point – the jalapeño pepper, but it’s not quite the heat of the cayenne pepper (30,000 – 50,000 SHU), which is closely related. There are reports of some chile de àrbol peppers reaching heats in that cayenne range, but that’s not the norm. You’re going to get heat around a serrano pepper level. The heat itself has a bite, a bit acidic and quick. But that’s tempered by its surprisingly good taste – there’s a lot of flavor here. What does a chile de àrbol taste like and look like? Beyond the quick heat punch, there’s a lot to this chili in terms of taste. 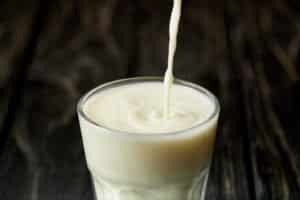 There’s a hint of nuttiness – nearly smoky in flavor – along with a light grassy undertone. 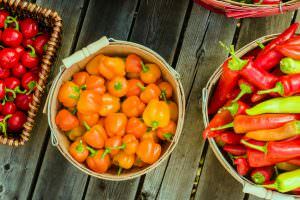 For many, these chilies are tastier than the cayenne pepper, and since the heat level is lower too, these chilies can be enjoyed by many more people, in many more ways. 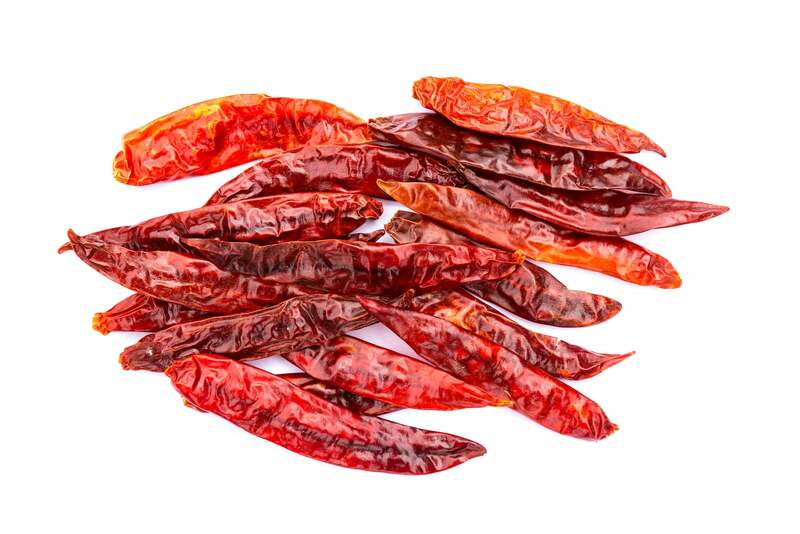 The name chile de àrbol covers both the fresh and the dried form of this hot pepper. It literally means “chili of the tree.” These hot peppers come from a bush, not a tree, but it’s the pepper stems themselves that make the name so fitting. The stems are branch-like hard. A chile de àrbol matures from green to a bright red, and in shape it’s like a mini cayenne pepper. They are slim and curved, but short – only growing to two to three inches in length. It’s a shape that has brought on some other names for this pepper too. 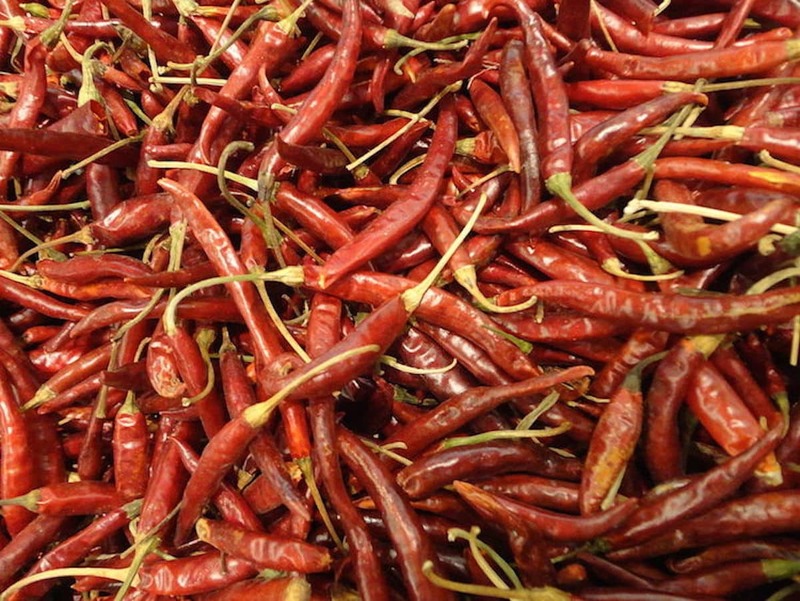 In Mexico, you may hear these hot peppers referred to as Bird’s Beak or Rat’s Tail chilies. So dried chile de àrbol keeps its red color? Yes, unlike a lot of other chilies that turn a dark brown or black when drying, the de àrbol chili stays a red color, ranging from bright red to dark cherry in hue. This makes the dried form very popular, both for culinary and decorative uses. This dried chili just shows really well, and its size makes it perfect to use as a garnish. You’ll find it in this form more often than fresh. 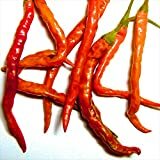 What are common chile de àrbol uses? You’ll find the dried peppers commonly in chili ristras and chili wreaths, and they are also commonly used as ornamental kitchen decor as whole pods in decorative bowls. But there are many amazing culinary uses too. 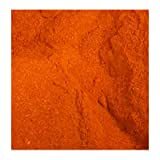 This is a hot pepper that’s terrific as a crushed powder for soups and marinades. 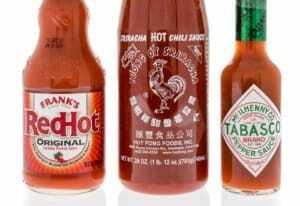 And its nutty, smoky flavor adds a terrific heat twist in salsas and hot sauces. And its size, actually, gives the dried variety access to the world of infusions and garnishes. For instance, chile de àrbol is commonly used to infuse olive oil through placing the whole pods directly in the oil bottle (they are skinny and short enough). You can do the same with iced teas, alcohol (try making a chile de àrbol infused vodka), and other beverages. These chilies are so slim and tiny that they make great spicy cocktail and drink garnishes too. They add a kick – and a flair – to your home bar concoctions, from margaritas to spicy lemonades. Where can you buy chile de àrbol? It’s harder to find them fresh, but in dried form, this is an easy chili to find. They are quickly growing in popularity. 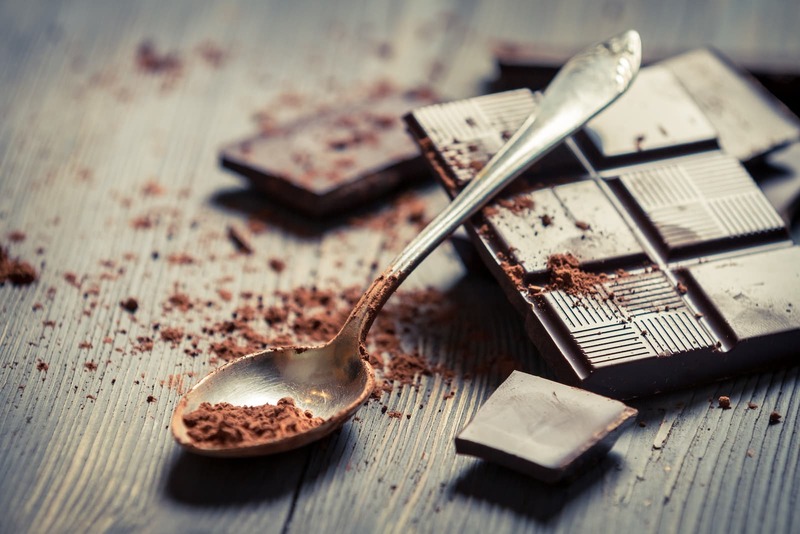 You’ll find them in some supermarkets with strong international sections, and Mexican specialty stores will often carry them. They are also easily bought online as both whole pods and in powdered form. We’ve come to love these little chilies for infusions and as a garnish. If, like us, you think of your kitchen as a spicy culinary lab, it’s well worth keeping a bag of dried chile de àrbol at hand. 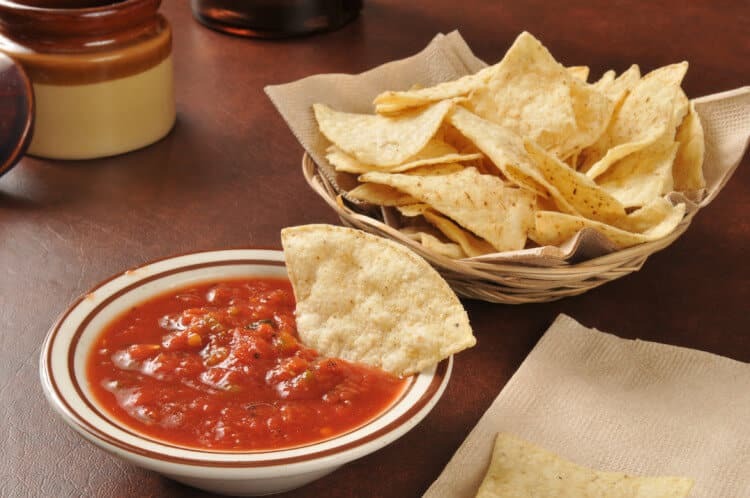 They are a ton of fun to experiment with, and their nuttiness works very well with traditional salsas and soups too.